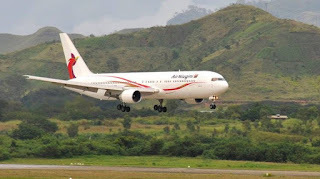 Air Niugini will soon resume its Friday afternoon flights into in Milne Bay province. Gurney Airport initially takes two flights on Friday, and one every other day. The Friday flight is a connecting flight from Australia and its temporary discontinuation has raised concerns among a few patrons in Alotau. But an executive team from the airline company was in Alotau this week to meet with clients and business houses about their products and service improvement. Air Niugini's General Manager Commercials, Dominic Kaumu, says much of what they've discussed is to improve its customer service and acknowledgement. "We are looking at improving our Loyalty Destinations program, the Executive Club membership, and what we are doing in that particular program in terms of people who are members of our club and how they can use their points, how they can redeem their points. "For example, we are negotiate with a number of companies and if you fly frequently with Air Niugini, you can earn points, and where as in the past you would use those points to buy airline tickets. "Now you can use those points to go to other companies and buy goods from other companies."